Here in Pittsburgh, there has been plenty of talk about an article in the Washington Post ("Portlandia, your 15 minutes are up. 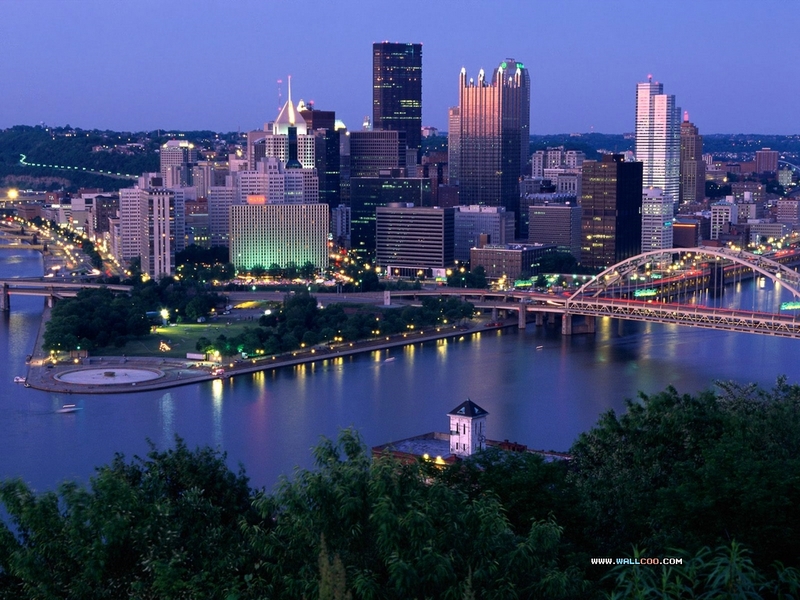 Long live Pittsburgh"). Basically, the writer casts aside the hipster-laden Pacific utopia as the new hotness and replaces it with the Steel City. There are plenty of justifications (read the article; it's short and to the point) and most of them are fairly valid. The reputation of my fair city is in need of an overhaul. The few glimpses that most of the nation sees of Pittsburgh--namely, Monday Night Football--is still permeated with stock footage of abandoned steel mills. That Pittsburgh died a long time ago. I can't quite match Pittsburgh up with being the equivalent of a hipster paradise, alas, but that doesn't mean it's not cool. There are a lot of young, vibrant industries popping up, and the streets are littered with plenty of the sort of small commercial establishments that people find charming. Add into the mix plenty of universities (funded by that dirty steel and coal money), lots of art, and a growing base of proud and vocal celebrities and you'll find there's a reason it keeps popping up on those "best places to live/visit" lists. Some of this is by design, and some of it is by circumstance. Pittsburgh never had a housing bubble, and so haven't really suffered much by way of consequence in that regard. The current recession, while bad for the area, was a little too late--Pittsburgh lost those jobs hurt the most years ago. And a bankruptcy and reorganization was done back in the early parts of the last decade, so the city itself was well-prepared to take on the economic hardships--the hard decisions were made before everyone else was forced to. While the city shed massive amounts of population over the past decades--and that population is mostly gray and old--it also opened up for a lot of new, young, and creative talent to come to the city. So while Pittsburgh isn't a huge city, it's big enough to handle larger events (such as the G20 Summit or the NHL All-Star game) without falling off the wheels. More and more conventions are popping up around here, taking advantage of the low-ish cost of living and the generally nice personalities of the residents. 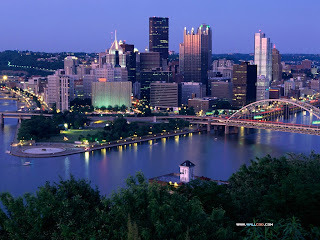 And while it's not for everyone, Pittsburgh is much like St. Louis in that it represents a little of the North, a little of the South, and a touch of the Midwest, without all the pretentiousness of nasal do-good New Englanders or the libertine Pacific. Obviously we're not without our problems. Traffic is a nightmare. While we are outgoing and friendly, we're also just a touch closed-minded. The night life can be...eh. The job market's still kind of bland. The local government is a mess--but show me a metropolitan area that isn't. And I know the love feast won't last--in a few years, it will be Memphis or Research Triangle or San Antonio as the Next New Thing. But trust us--we'll enjoy it while we can.